Diamela Atencio V: Roses are Red. Violets are Blue. We have Builders "Speed Dating", Just for YOU! Roses are Red. Violets are Blue. We have Builders "Speed Dating", Just for YOU! Are your clients still searching for their dream home? If you haven't crossed this path yet, maybe it's time to consider new construction?! We have so many great choices for local builders in our area and at this month's BRM we are making it easier than ever to learn about them all! 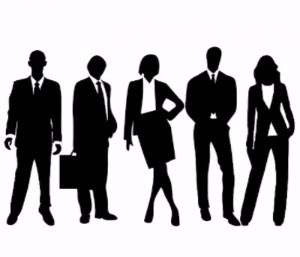 Now is your chance to play matchmaker for your clients! Come out and meet many of our local builders all under the same roof during one great event! 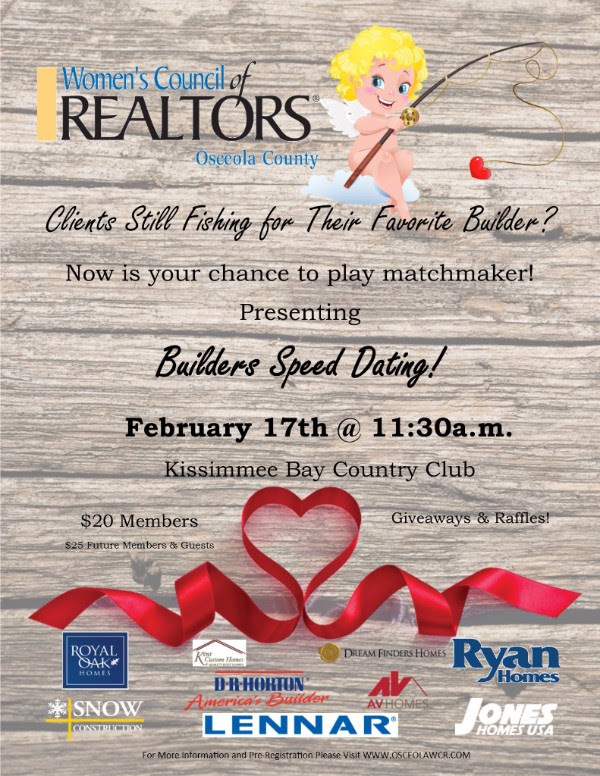 Our first ever, Builders Speed Dating will be held at this month's Business Resource Meeting on February 17th. You'll have an opportunity to mix and mingle through local builders and help your clients fall in love with their perfect match! What more do you need? How about multiple opportunities to walk away with prizes and giveaways?! You heard us right, MULTIPLE chances to win big at this month's BRM. Mark your calendars and RSVP today! The Golf Committee is already in FULL SWING organizing our Annual Golf Tournament. 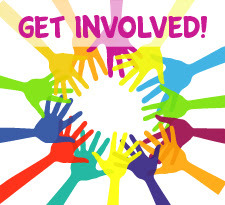 If you are interested in volunteering your time, making a donation, joining a team or sponsoring the event in any capacity, please contact Tina Campbell for more information! We are looking forward to another great event with the help of our members, guests and generous sponsors! Copyright © 2017 Women's Council of Realtors - Osceola Chapter, All rights reserved. Thanks for attending our January Social!